Pug pictures are always in demand. These dogs are very cute and photogenic and the Internet is filled with merchandise that has a likeness of a Pug on it. And why not? They are adorable creatures and every Pug owner has a right to be proud. Their expressive faces can convey a broad range of emotions. can be a fun and lucrative hobby. While you probably won’t make a fortune, who couldn’t use a few extra dollars here and there? If your picture is really a nice one you may even see your little friend featured on a calendar! 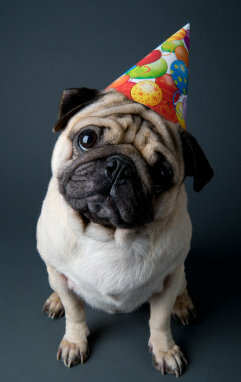 If you do a search on the web for Pug pictures you’ll be amazed at the results. You’ll see many sites that are selling images of Pugs. Of course they are selling other images as well but they have taken the time to make sure that their site is listed whenever someone does a search on Pug pictures. 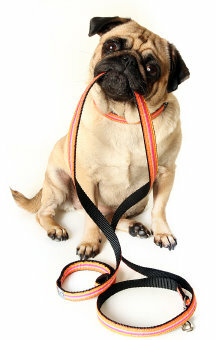 It is very common for the sites that are selling pictures of Pugs to also be looking for more. The typical method is that you submit your pictures for review and the site will either tell you “no thanks” or they will display your photography and pay you whenever someone downloads one of your pictures. The amount of money varies depending on the resolution that is downloaded and the use of the picture. They typical download fee is about a dollar and that money is split between the photographer and the website. That would be for a picture that would appear on a website or other one time use. If you read the download agreement carefully you will notice that you usually cannot put that image in a book or on a mug or calendar. To do that requires a special agreement and a higher fee. Many of the sites will tell you how many times a particular image has been downloaded. When that number runs into the hundreds you know that that particular photographer has taken a winning photograph. If you’re really interested in making money from your Pug pictures, however, you probably will want to have your own site dedicated to your own photography and use other sites for additional income. Dog photography can be fun and it is a great way to turn your love of animals and photography into a part time income. If you’re an accomplished photographer the upside is quite high and what starts out as a hobby can easily be turned into a very lucrative income. How do you get people to know about your Pug pictures? Submitting your pictures to the photographic agencies mentioned above is a good way to start and having your own website is also highly recommended. Look for contests to enter and submit your photos to magazines as well. Don’t be concerned about making money in the beginning. If your pictures are good the money will follow.